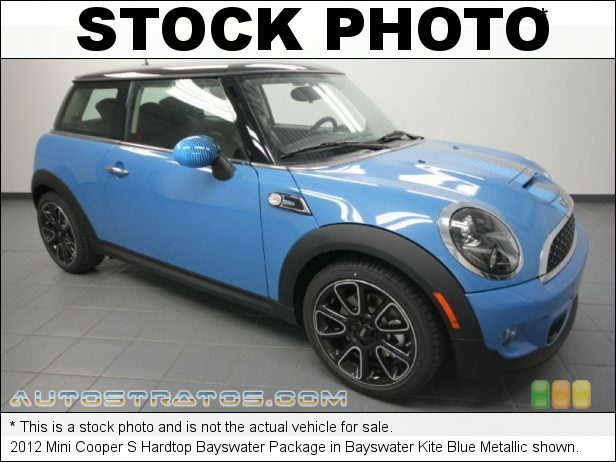 Come see this 2012 MINI Cooper Hardtop S. Its Manual transmission and Turbocharged Gas I4 1.6L/98 engine will keep you going. This MINI Cooper Hardtop has the following options: Ventilated front & solid rear disc brakes, Twin-pipe exhaust system, Twin horns, Traction control w/automatic stability control (ASC), Toggle switch instrument controls, Tire pressure monitor, Stainless steel foot pedals -inc: driver footrest, Sport button -inc: accelerator & steering programs, Speed-sensitive variable pwr electric steering, and Speed-sensitive front intermittent wipers. See it for yourself at Mountain States Toyota, 201 W 70th Ave, Denver, CO 80221.